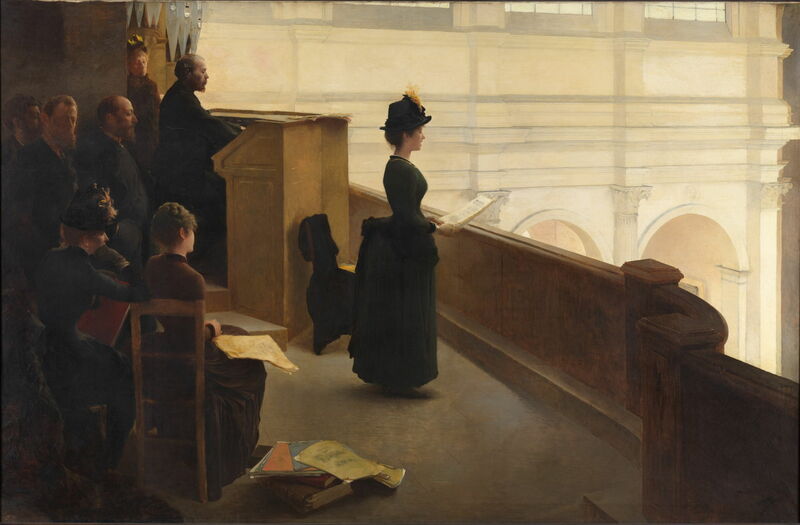 Henry Lerolle (1848–1929), The Organ Rehearsal (1885), oil on canvas, 236.9 x 362.6 cm, The Metropolitan Museum of Art (Gift of George I. Seney), New York, NY. Wikimedia Commons. Artists are sometimes known for a single work, one which may be quite atypical of most of their lifetime output. Henry Lerolle (1848–1929) was a painter who, in most of his easel paintings, showed Impressionist style, but whose sole well-known painting is a prime example of Naturalism. He was also a close friend of several of the French Impressionists, and composers including Claude Debussy. He started his training in the Academy Suisse, before entering the École des Beaux-Arts in Paris, where he studied in the studio of Louis Lamothe. Among Lamothe’s more famous pupils are Edgar Degas, Elie Delaunay, Henri Regnault, and James Tissot. Lerolle first exhibited at the Salon in Paris in 1868, and again in 1885 and 1895. A businessman and friend of the Rouart family of artists and industrialists, he had independent means and did not rely on his painting to pay the bills. Henry Lerolle (1848–1929), By the Riverside (before 1881), oil on canvas, 470.9 x 300 cm, The Museum of Fine Arts (Gift of Francis C. Foster), Boston, MA. Courtesy of the Museum of Fine Arts Boston. 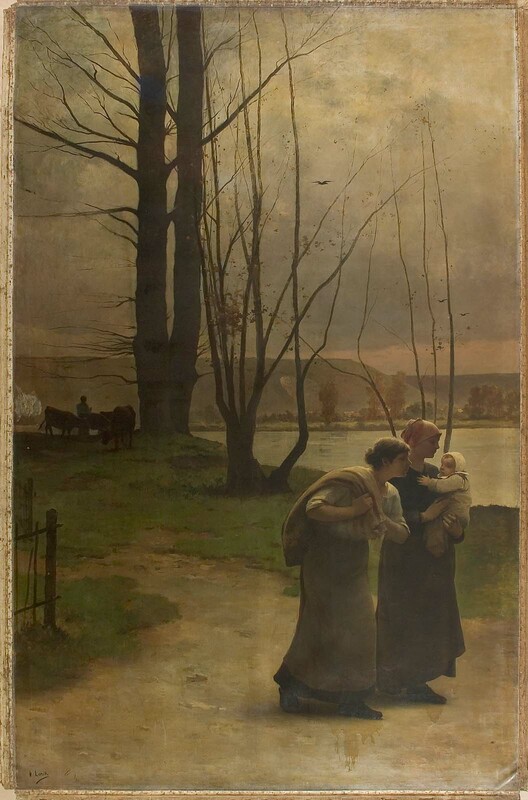 Early works include By the Riverside, which he painted before 1881, and appear influenced by the Barbizon School. Lerolle’s singular masterpiece is The Organ Rehearsal, completed in 1885 and exhibited at the Salon that year. A very large canvas, it shows the choir loft of the church of Saint-François-Xavier in Paris. A singer is rehearsing there with the organist, and a small audience drawn from Lerolle’s family and friends. Lerolle had already painted one monumental work, The Communion of Apostles, for that church in 1878, and ten years later painted a second for it. The singer is one of Lerolle’s sisters-in-law, the other is in the left foreground propping her head on her right hand. His wife sits between her two sisters, sheet music on her lap. The organist is the husband of the sister-in-law at the left, and the artist is also at the left, facing the viewer. The woman standing behind the organist is Lerolle’s mother, and together with the younger man in the background were late additions to the painting. Viewed as a very detailed realist representation of a scene of contemporary life, it fits the model of Naturalism. The painting was exhibited alongside Impressionist works in New York in 1886, and was purchased by the banker George I. Seney (1826–1893), who gave it to the Metropolitan Museum there. A smaller version is now in Stockholm’s Nationalmuseum. The infra-red reflectogram below shows Lerolle’s construction lines which ensured meticulous perspective projection, and were probably scaled up from a final study, although no preparatory work has been discovered. Henry Lerolle (1848–1929), The Organ Rehearsal (detail, infra-red)(1885), oil on canvas, 236.9 x 362.6 cm, The Metropolitan Museum of Art (Gift of George I. Seney), New York, NY. Wikimedia Commons. Henry Lerolle (1848–1929), Harvesters (c 1890), further details not known. Wikimedia Commons. 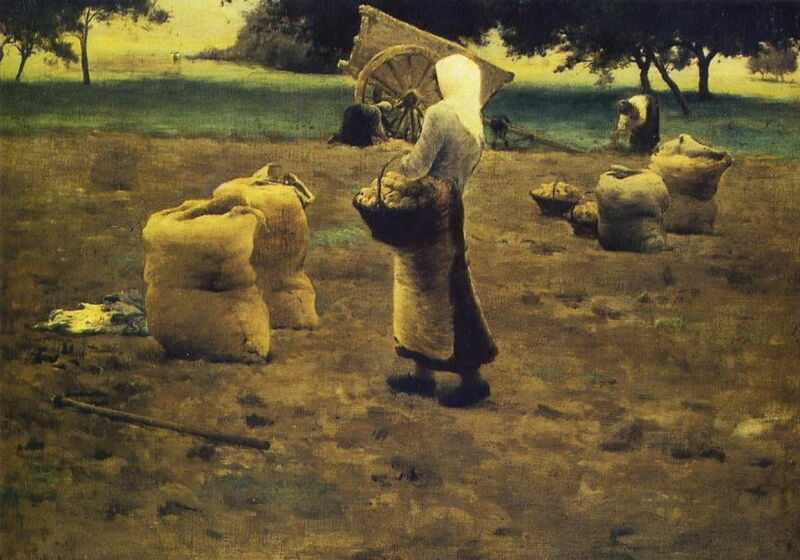 During the 1880s, Lerolle painted several brighter rural scenes which appear to have been influenced by the work of Jules Bastien-Lepage and the Naturalists of the day. Harvesters (c 1890) is among them, and one of those which retained the more sombre colours of his Barbizon past. Henry Lerolle (1848–1929), Still Life (c 1890), further details not known. Wikimedia Commons. Lerolle painted several large murals, two of which can be seen in the Paris City Hall (Hôtel de Ville), with others in the Sorbonne, and in the Schola Cantorum, a music conservatory in Paris in which Lerolle was involved. 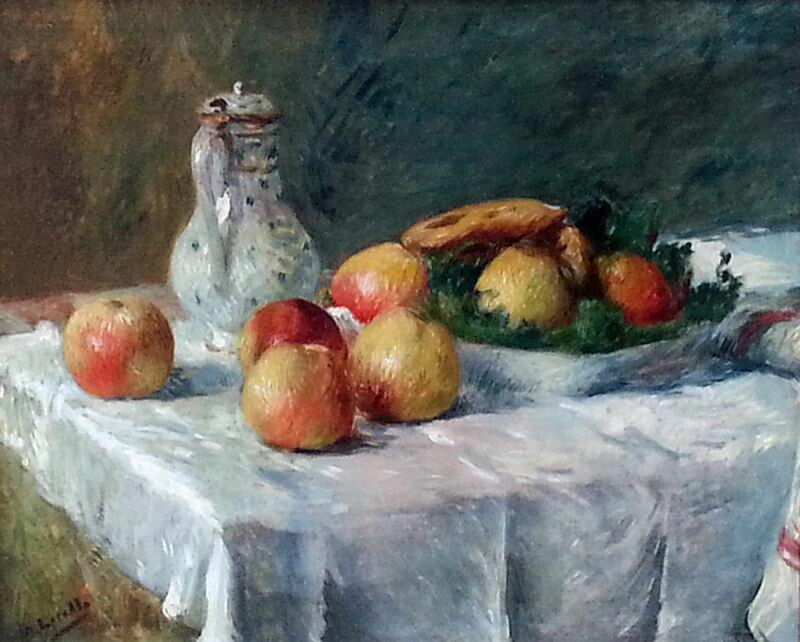 Most of his surviving easel paintings appear to be Impressionist still lifes, such as this from about 1890. 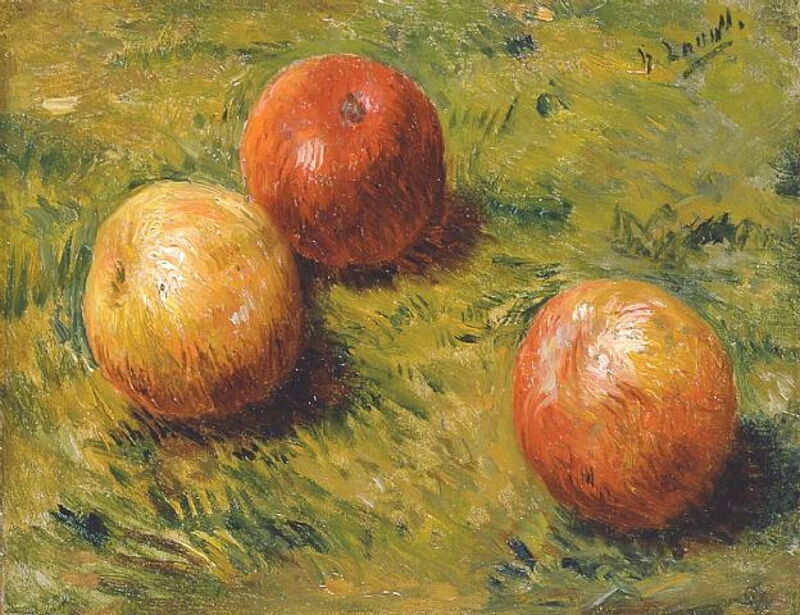 Henry Lerolle (1848–1929), Still Life with Apples (c 1900), further details not known. Wikimedia Commons. 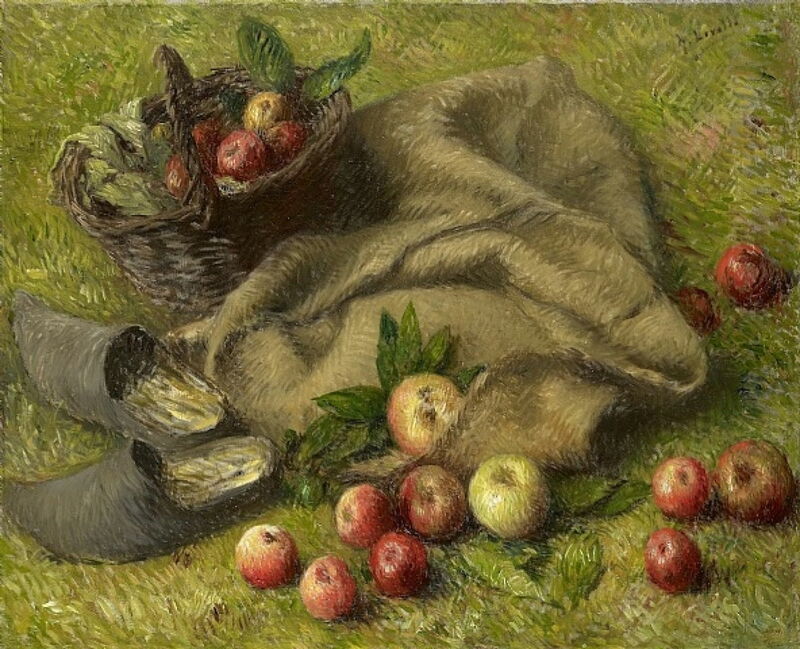 He seems to have developed a liking for painting still lifes with apples, such as those above and below, from about 1900. 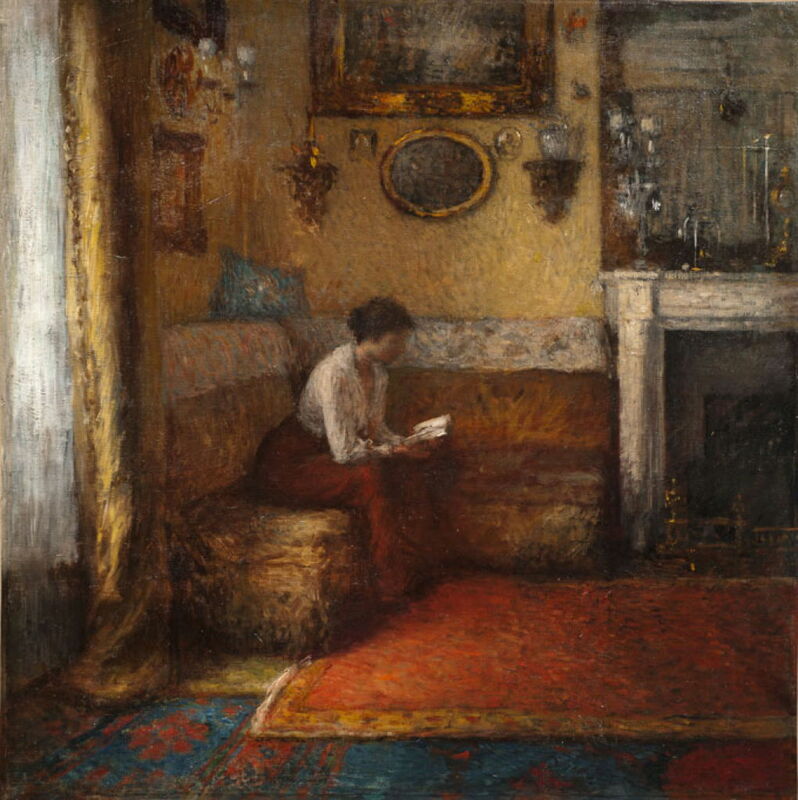 Henry Lerolle (1848–1929), Woman Reading (c 1900), further details not known. Wikimedia Commons. He painted at least two works of a Woman Reading, this being dated to about 1900. Henry Lerolle (1848–1929), La Toilette (date not known), oil on canvas, dimensions not known, Private collection. The Athenaeum. This undated work is perhaps an inevitable La Toilette. Henry Lerolle (1848–1929), Still Life with Apples and Baskets (1905), further details not known. Wikimedia Commons. 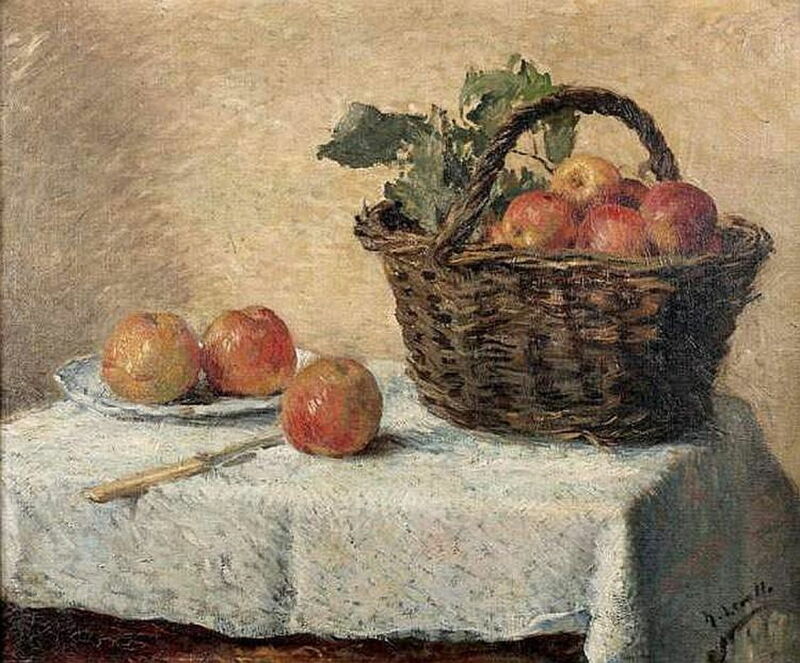 This Still Life with Apples and Baskets from 1905 appears to be one of his later works. Although his own artistic career may now appear relatively undistinguished (it actually wasn’t at the time), his circle of friends included many far more famous: Edgar Degas, Pierre-Auguste Renoir, Claude Debussy. Among the other composers he knew were Sergei Prokofiev, Maurice Ravel, Erik Satie, Igor Stravinsky and Paul Dukas. Artist not known, Claude Debussy at the Piano in the Summer of 1893 in the house of Luzancy (1893), possible hand-coloured photographic print, dimensions and location not known. Wikimedia Commons. 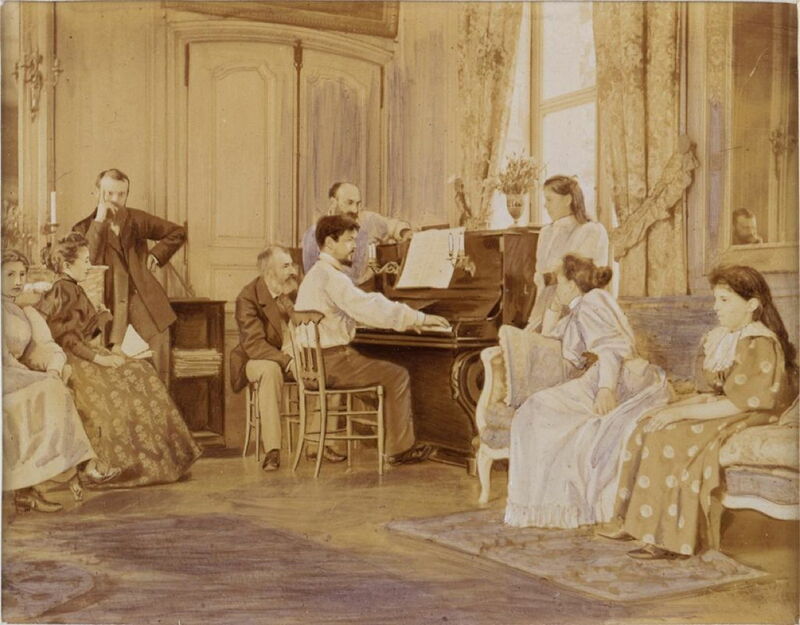 I believe that this may be a hand-coloured photographic print made in 1893, showing a musical gathering in the home of his sister-in-law and her composer husband, Ernest Chausson. From the left are Yvonne Lerolle (daughter), Mme Madeleine Lerolle (wife), Raymond Bonheur, Henry Lerolle, Ernest Chausson (brother-in-law), Claude Debussy, Christine Lerolle (daughter), Mme Chausson (sister-in-law), Etiennette Chausson (the Chaussons’ daughter). 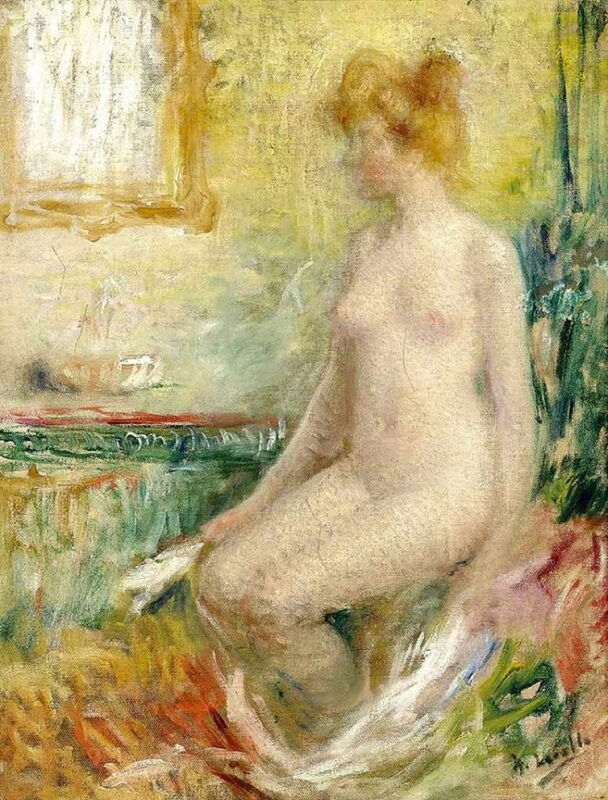 Pierre-Auguste Renoir (1841–1919), Henri Lerolle (c 1895), oil on canvas, 45.4 × 35 cm, location not known. Wikimedia Commons. 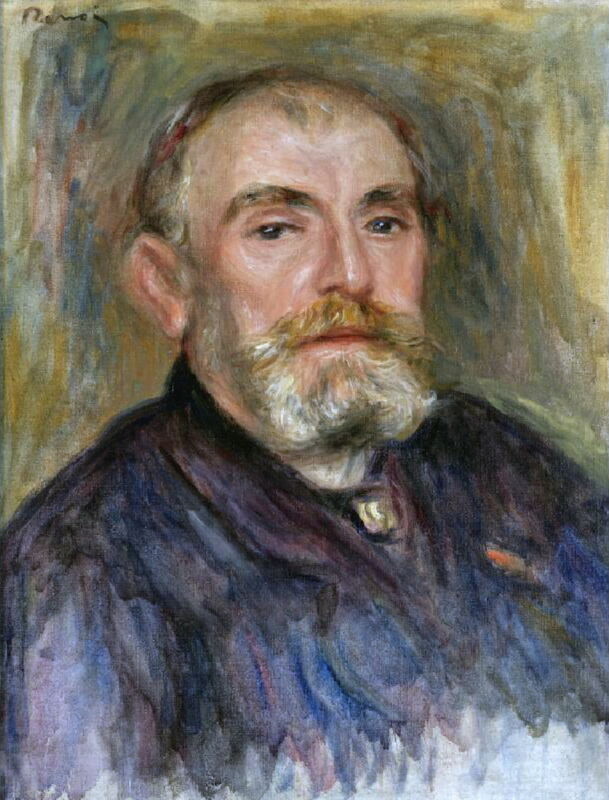 Pierre-Auguste Renoir painted this portrait of Henri Lerolle in about 1895. Edgar Degas (1834–1917), Portrait of Henry Lerolle with two of his daughters, Yvonne and Christine and a mirror (1895-96), albumen print, 28 x 37 cm, Musée d’Orsay, Paris. Wikimedia Commons. 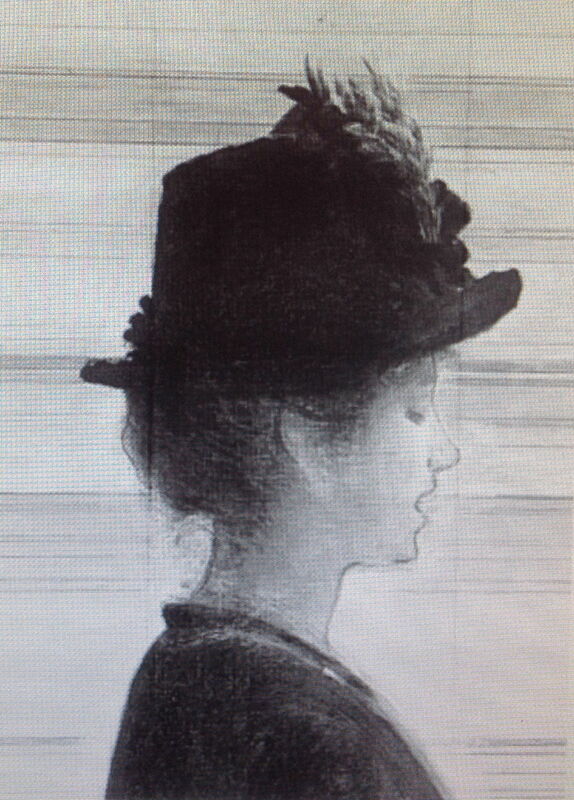 The Lerolles were also involved with Edgar Degas’ experiments with photography in the 1890s. 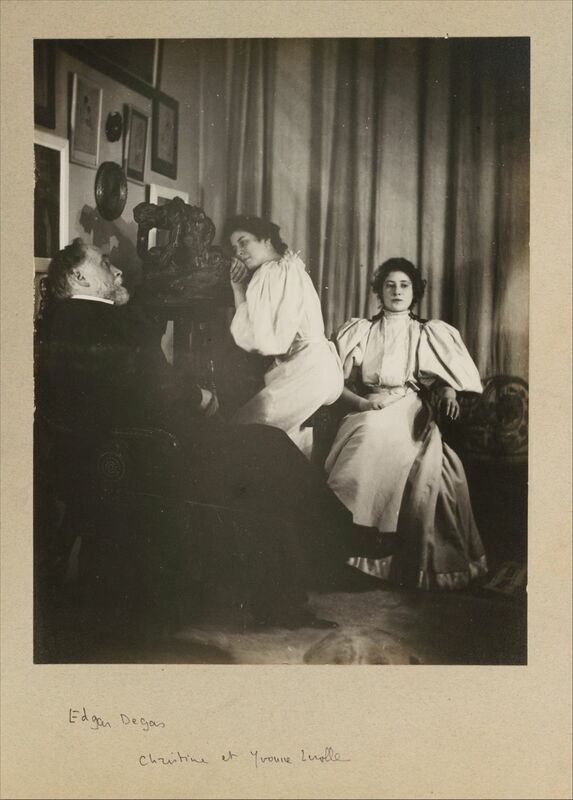 This is an albumen print of Henry Lerolle with two of his daughters, Yvonne and Christine, taken by Degas in 1895-96. 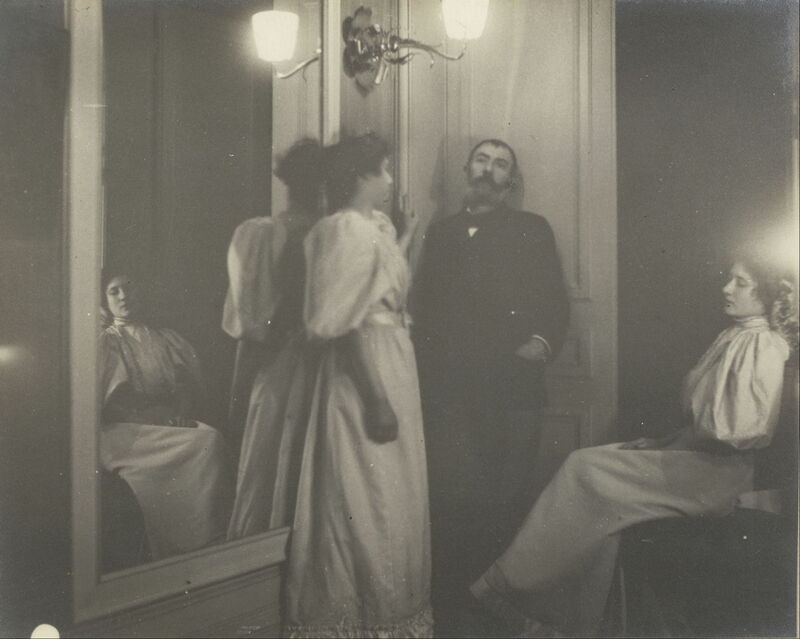 Edgar Degas (1834–1917), Self-Portrait with Christine and Yvonne Lerolle (c 1895-96), gelatin silver print, 37.1 x 29.3 cm, The Metropolitan Museum of Art, New York, NY. Courtesy of The Metropolitan Museum of Art. Degas took this self-portrait with Christine and Yvonne Lerolle in the same period. 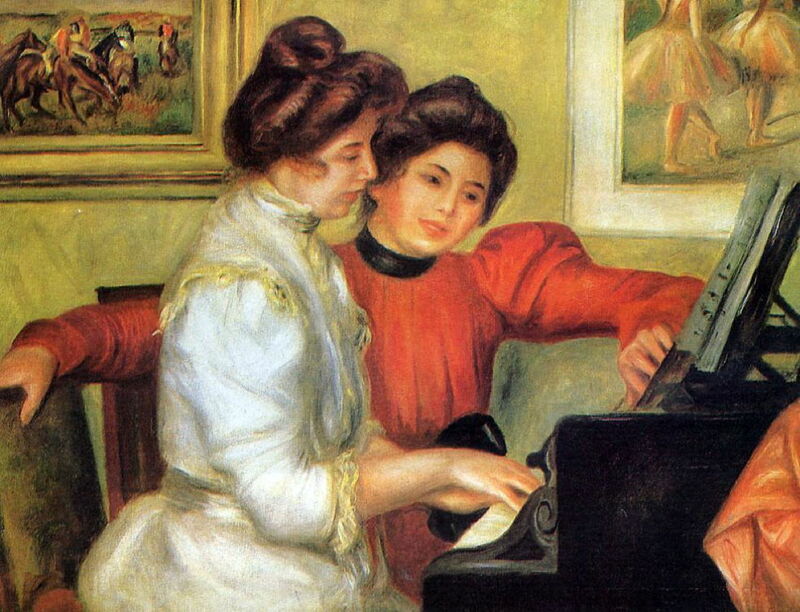 Pierre-Auguste Renoir (1841–1919), Yvonne and Christine Lerolle at the Piano (c 1897-98), oil on canvas, 73 × 92 cm, Musée de l’Orangerie, Paris. Wikimedia Commons. In about 1897-98, Renoir painted Lerolle’s two daughters Yvonne and Christine Lerolle at the Piano. The two paintings behind them are both by Degas: that on the left is one of his paintings of horse-racing, and that on the right of ballet dancers, which were presumably in Lerolle’s collection. Lerolle was an early and enthusiastic collector of the modern art of the day, and was a patron to Degas, Renoir, and Maurice Denis. Among the other artists represented in Lerolle’s collection were Claude Monet, Pierre Bonnard, Gustave Moreau and Édouard Vuillard. 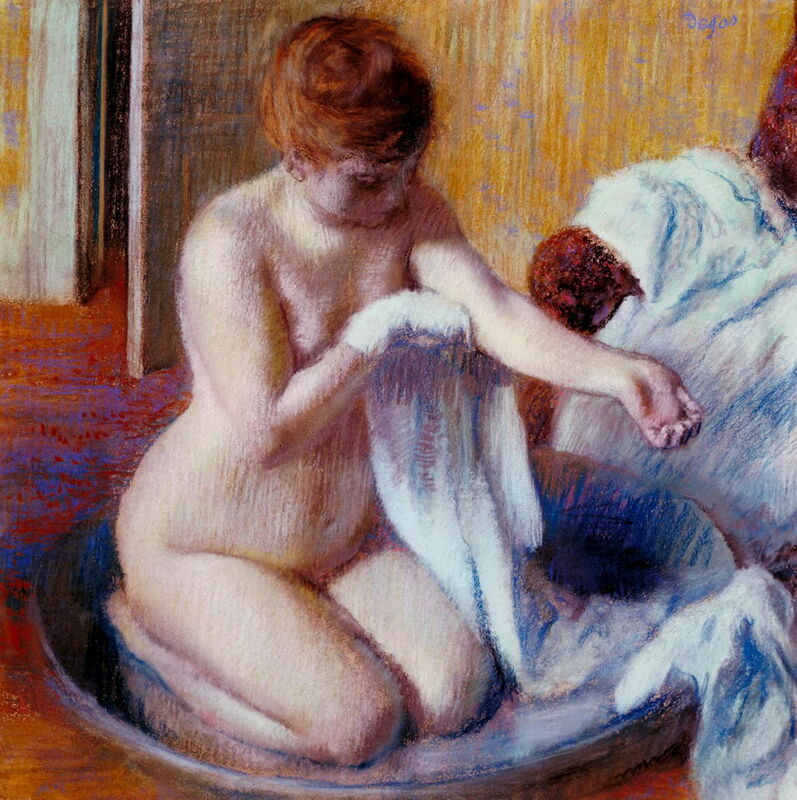 Degas’s famous Woman in a Tub (c 1883), now in the Tate Gallery, was bought by Lerolle from the artist. Maurice Denis (1870–1943), Le mystère catholique (1889), media and dimensions not known, Musée départemental Maurice Denis, Saint-Germain-en-Laye, France. Wikimedia Commons. 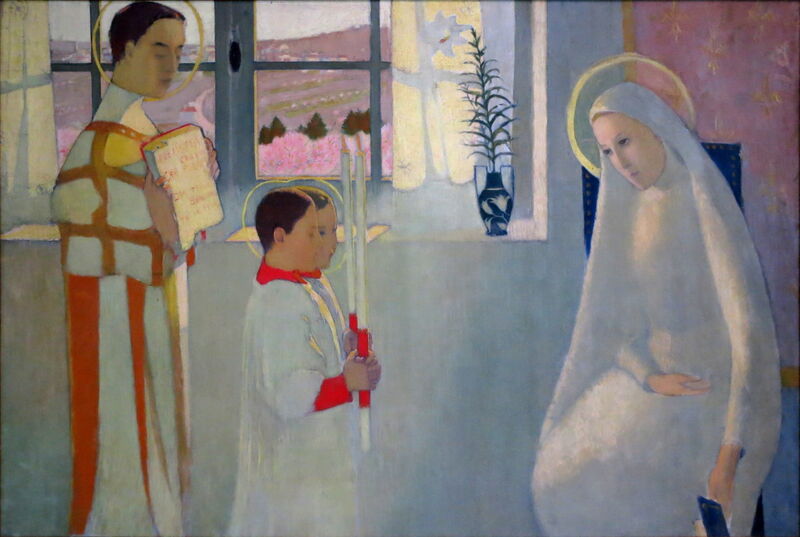 Among the paintings by Maurice Denis which were in Lerolle’s collection was Le mystère catholique (1889). Denis said that Lerolle was his first patron, who enabled him to pursue his career in art. If Naturalism and Impressionism seem in some respects to have been fundamentally opposed, perhaps Henry Lerolle demonstrates their coherence and continuity. Posted in General, Life, Painting and tagged Bastien-Lepage, Debussy, Degas, Denis, Impressionism, Lerolle, naturalism, painting, realism, Renoir. Bookmark the permalink.